The only privately owned land in the park. 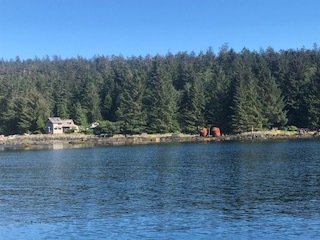 Formerly a whaling station now houses bed and breakfast facilities during the summer. Five houses are habited year around.